JVC has earned a dedicated following of enthusiastic videophiles who eagerly await news of their latest home theater projectors, all built around JVC's proprietary D-ILA light engines. Every year, due to the company's glowing track record for performance, a standing backlog of orders always needs to be filled before they can get around to issuing samples for review. Contrast specs: The RS15 is rated at 32,000:1, the RS25 is 50,000:1, and the RS35 is 70,000:1. Lumen specs: The RS15 is rated at 1000 lumens, and the RS25 and RS35 are 900 lumens. THX Certification, ISF Calibration modes, VGA input terminal, and Color Management System (CMS): The RS25 and RS35 have all of these, the RS15 has none of them. Manual Aperture: The RS25 and RS35 each have 16 steps between maximum and minimum settings, and the RS15 has three steps. Warranty: The RS35 has a three year warranty; the other two models come with two years. In short, there isn't much difference at all between the RS25 and RS35. The RS25 is basically an RS35 with slightly lower full on/off contrast and a two-year warranty. Features in common between all three models include a powered 2.0x zoom/focus lens, powered lens shift, Clear Motion Drive (frame interpolation), custom gamma adjustments, anamorphic vertical stretch, screen correction modes, and an automatically retracting lens cover. The connection panel on the side of the unit offers two HDMI 1.3 inputs, one component, one S-video, one composite, an RS-232c port, and a 12 volt trigger to activate an anamorphic lens sled. (The two higher priced models also have a VGA port that is missing on the RS15). All three models look identical, in elegant glossy black casework, and they all weigh 24.7 lbs. Interesting, I wonder if JVC will be able to keep their pricing this high with $2000 models performing as good or better in many situations. How does clear motion perform with movies (animation) if fed 1080p/60fps? Why use 24fps at all thus avoiding any problems with clear motion. How was the motion during panning? From what I have seen the JVCs still do not handle it very well. What I am starting to see in reviews such as this (reluctantly in some), is an indication that the differences in the higher end projectors and the so called midrange (such as the AE4000) are becoming less regularly dramatic. Yes, under certain circumstances, the black level of the JVC, for instance will notably surpass that of the midrange units, even to the untrained eye. Yet, the degree of practical difference (due to the scene type or home theatre setup for instance) is narrowing each year. This should not come as a surprise as we have seen this in other electronics such as receivers and speakers. The higher end will, however often still be the last word in certain areas of performance and may introduce technologies that will later drift down to the more affordable, although the latter is also becoming less of a rule. Regardless, it is heartening to see that for the average enthusiast; he or she can enjoy say + 90% of the best's performance, at a fraction of the best's cost. Please compare the new Samsung A900B to the JVC RS25. its hard to believe that JVC would release a projector that did a poor job of frame interpolation with 24 fps sources. considering these projectors are pretty much meant for a blu ray home theater. what a sad day. It is no small matter that the JVC delivers a noticeably superior picture in movies where darks predominate. Many of our most beloved movies tend to be loaded with dark scenes. Movies like the Harry Potter series, Matrix series, Lord of the Rings series just to mention a few will clearly be much more enjoyable to watch on a JVC projector. Well Cory, I value black levels as much as anyone, but I certainly have a problem paying 2-3x the money for a projector that will even get you slightly worse performance in brighter scenes. @Bjorn No... think about it for a bit. JVC is better where it matters the most, and it's not a slight difference, it's a very noticeable one. Why would they lower their price when there's absolutely no other manufacturer that can match even their discontinued products? An old RS10 B stock model that was going for around 2k not too long ago outperforms any of the new LCD's, JVC is pretty safe. The PT-AE4000 could be even cheaper, and some people still would never pick it over any JVC offering (even an RS1 outperforms it where it counts: picture quality) The fact is, Panasonic, or Epson don't have much influence over the pricing of JVC. JVC on the other hand, has a lot of the "premium" projector manufacturers quite worried, and have made those guys drop their prices a lot. So, basically, JVC isn't aiming for people on a tight budget, and there seem to be more than enough people willing to pay a premium for the best, and in their eyes it could actually be seen as quite a bargain, considering only a few years ago you had to pay more than 20,000 for the high end stuff. I've seen you post something similar over at Art's blog, and i can tell that you're the first guy not to be convinced by your own argument, since you keep wanting for JVC to drop their price so you can just pick it over the Panasonic. If you truly believe they are that close in performance why even talk about JVC all the time, get a Panny 4k and be done with it? I think we both know the answer to that one, they are not close, and this isn't a product like say... a box of chocolates, where you would expect to pay about 2x the price, for 2x the chocolate. What a delicate subject to critique.... projector value. But I don't have to worry about a manufacturer's wrath or my own defensiveness at spending more money with very little to show for it. So I'll just go ahead and say it. I use the guest test in my dedicated $70k theater. Without an A/B test, none would notice an upgrade from say a Panasonic AE4000 to something costing 3x or 5x more. I imagine there will always be better black levels. a way to program the FI to turn on and off based on input 24 vs 60. would have been great. (if even possible) i agree with you Kamus that it is not designed for home theater however like you mention for a show like the super bowl im going to want to be able to watch it with as little motion jutter as possible. but to have to switch the settings the projector every time seems like a pain. that is unless it can be integrated into a system remote! now that would solve all my problems. (can it?) could i program a smart remote (logitech 900) to change the settings for FI to off when i select movies and back on for when i select TV? There is no way I would pay an extra $6K for the JVC because it has superior black levels to the Epson and the Panny, because most of what you watch on TV and in movies are not dark scenes, rather they contain average light to high brightness scenes, which neutralizes the JVC's advantage in contrast. It's like comparing a Corvette Z06 to an Infiniti G37. Yeah, the Z06 is much faster than the G37 but the G37 is fast enough and in most situations you can't take advantage of the Z06 speed. However, the G37 has convenient features that the Z06 does not have that you can use in the real world like a backup camera to help you park, and a gearbox that can be used to similate a stick shift like the Z06 but gives you the convenience of an automatic when on hills etc. The Panny and Epson gives you real world contrast that you see in most scenes, but the JVC gives you that pop on occassions (like on an empty highway with the Z06) when the scenes are extremely dark. Give me real world driveability and convenience at a lower cost. It is uncertain in this review if the RS25 was fully grayscale and CMS calibrated to D65, Rec 709 and Gamma 2.2 for comparison. This is where the RS25 shines, at these settings, I highly doubt it can be touched by the Panny or Epsom on picture quality. Frame Interpolation (FI) can be extremely useful for standard DVD's as mentioned by Evan in his review of the Epson and Panny. Both of these manufacturers FI systems are head and shoulders above the JVC when it comes to watching standard DVD's and that is saying a lot when you consider a lot of people still buy standard DVD's. Based on the review, it appears the Epson and Panny deliver a superior picture for standard DVDs to the JVC when their FI system is engaged with their sharpening enhancement features. So, if Standard DVD's look better on the Epson and the Panny than on the JVC, and they all look great with live HD broadcast material and sports and I assume animated movies with their high light scenes will look just as good or not better on the Epson and the Panny than on the JVC, then why would anyone pay an extra $6K for the JVC to get an upgrade in picture quality in dark scenes only? I expect to see a huge difference in picture quality for an extra $6K! For an extra $6K, the JVC should have the superior FI systems that work best and enhances the picture quality of standard DVDs and not the lower end models. The JVC contrast should be superior in all scenes and not just dark scenes for the extra cash. Hey, if you have an extra $6k to dish out for superior black levels in dark scenes more power to you. Romel unless you only watch comedies then your arguments just are not true. Crime, thriller, action, horror, discovery channel, history channel present video where dark scenes can be 100% of the presentation. In this type of video the JVC easily shows it superiority, even to a casual viewer. No motorized iris projector like the Panasonic can present dark material with the absolute black level and the dynamic range as intended by the director. With this type of material the JVC will present an image that is fun and engaging to watch because you will have superior blacks and brights/white being presented simultaneously. Because the Panasonic has to rely on a dynamic iris to produce black this type of material will have very limited dynamic range with white/bright compression artifacts that will leave the viewer frustrated and impatient and saying alright will this dark scene please go away so I can enjoy my picture again. In a lot of material the dark scenes never go away. Kamus, I don't see how it's your place to question what I do with my money? I also don't know why you are getting so defensive about my posts? And yes, I probably will buy the AE4000 if I don't find a better deal on another projector, but how is that any of your business? Could it be because you are a JVC owner yourself, worried that your projector will drop in resale value? It certainly seems that way. For the record, I'm not on a tight budget, I'm a value concerned consumer who WILL not pay 2-3x the money for 0.9 to 1.5x the performance, which btw is where I believe the price should be as well, at the very least for the RS15 model. Like I already said, if all you want is the absolute best black levels then you should buy a 9" CRT anyway, not a JVC LCOS. Leonard, I guess we'll have to disagree on this because the programs I watch contain less dark scenes and typically more scenes with average light. This is also the opinion of Evan of Projector Central. When comparing the contrast of the Epson and the Panny, Evans said, and I quote... "when viewing scenes that do not have substantial black components (which is most of them), it's a different story. In scenes with more typical average light levels, the AE4000 renders them in higher contrast"
The Epson has superior black levels than the Panny, but you need more black material to notice. The same can be said of the JVC, and indeed Evan made a similiar comment when comparing these 3 projectors. He even said that both the Epson and the Panny appeared to be higher in contrast in lighter scenes or about the same in moderately light scenes. the JVC only stood out in the darker scenes. Lastly, Evan appears to be fair in his comparisons, so when he said the Panny's picture quality could be equal, but not exceeded by the JVC, why would I doubt him. And when you throw in a standard DVD the Panny and the Epson will beat the JVC in picture quality. There are people (including myself) with a huge collection of standard DVDs. All that other stuff you said about being frustrated with the Panny and it's auto iris feature and the dark scenes etc. ; make you sound like you're from JVC and collecting a pay check. I remember seeing the SIMS 3 DLP 1080p projector after being demostrated the AE2000 2 years ago and there is simply no comparison. After 2 more generations, how is the JVC, Panny, Epson compare to those state of the art USD 30K projector just 2 years ago. Any chance getting close ? Man, I remember that guy about to shelter 30K for the SIMS at that time after seeing the demo. I was looking into the JVC. Now I'm starting to think it's not worth the money. Is there anywhere we demo the JVC? I think there is a very simple reason to value black level performance over white level, or even contrast - when was the last time you watched a movie and actually noted the poor white level?? Or even said, "damn, I wish we had more overall contrast in this scene?" On the other hand, every single one of us have watched Blade Runner and grimaced and the dull grey imagery. Lack of good black level just sticks out like a sore thumb, especially since most of us have some sort of truly black material surrounding our screens as a constant reference point of what a REALLY black image would look like. So yes, black level performance gets a lot of attention because it's probably the #1 image fault so easily identified nearly every time we watch something (although this only applies to people watching in pitch-black rooms). I have the JVC RS25 on display along with the Optoma HD8200 in a showroom where I work, I have also seen many demos from other makes, and I got to say that the JVC is jaw dropping when it comes to black levels and the darker scenes. As far as the argument that the price is not worth it if only for the increased black level performance, all I got to say towards that is do not demo a properly calibrated JVC or you will be ruined like me and have a hard time justifying the $2500 towards something with less ability. Most movies have dark scenes in them... I mean what movie doesn't really? It's in those scenes that the JVC blows your mind. Is it worth another 4k... I don't know, but it sure makes it difficult to spend the $2500 that could go towards the JVC on something else. As for me I could buy the more affordable HD8200 which looks great on it's own but I just can't do it now, not after seeing the JVC. I guess I'll just wait till I have the money or the price goes down, open box return maybe? Wasn't this suppose to be the JVC model that would do 3D ?????????????????????? Great review and I enjoyed reading the comments. I have the money to buy the $8000.00 JVC but after reading the reviews, I can not justify $6000.00 more for some darker black levels for me personally. For those that can I am sure you will enjoy a great projector. But I plan on buying the Panasonic AE4000. I have been reading everything I can for the last week and this is a great projector with great reviews for much less then I was planning on spending. I have also talked with owners of the AE4000 and they are extremely happy. I almost felt that I was not spending enough when I heard what the AE4000 cost. But after reading the comments on the JVC I believe I am making the right choice. Lets face it in two years all of these models will be replaced by much better ones and to upgrade $8k every few years to get the best of what the market has to offer is going to get very expensive. Is the jvc worth the 4k extra money over the LG CF181D lcos for example ...NO...and i sell both..the extra brightness of the LG and slightly lower black performance..but better shadow detail,,make the LG a steal and the JVC VASTLY overpriced now.. $8,000 for the JVC...its not worth more than $5,000..tops.. It was just a few years ago that I had a conversation with a loverly man o the pioneer booth at CES talking about the black levels of there Kuro Plasma TV line and how it surpassed panasonic. My comment had the man stumped as I mentioned that there 50" plasma was 3 times the cost. Is the image 3 times as good. Well it is not and I have had 3 panasonic plasmas since and can honestly say that I very very rarely say Oh I wish that blacks were just that little bit better. I work in VFX and film and sit behind a 40K Grade A Crt all day. I have a Pioneer plasma in my suite. This is more political than practical. Trust me I would and certainly can see the difference between the finest screen ever produced and a pioneer Kuro Plasma for client viewing (also the finest ever produced) However in the real world forgetting the snobbery and lack of real world use.. Most people are looking at chalk and cheese. Yes the JVC projectors are very nice (we have one in our lunch room) Oh and a much more expensive one than this) but is the JVC here it 3 times as good as a panasonic or epson. The answer is NO... Does it have better blacks. Yes. $4000 of them .... The people that will argue with this will also argue that LCD is catching plasma. Or even more horrific that it is better than plasma. LOL I know 3 people with the PANA 4000 and have sat through many a movie with dark scenes. Its stunning. For 2K its even more stunning. Buy 3 of them and mount one in the bathroom so you can watch 1080p there too. I viewed the JVC ---- loved it --- Almost bought it for $9K. 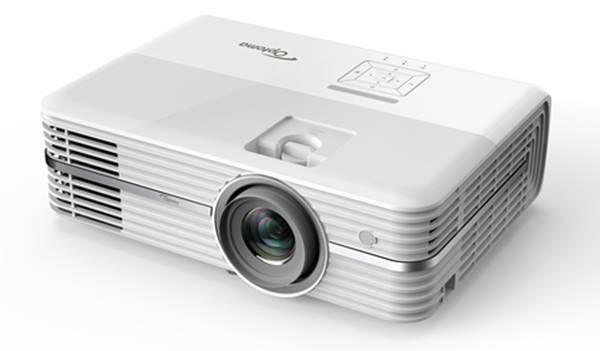 I bought the Panny 4000 for $2K with the plan to upgrade to a 3D LED projector in a few years when the 3D and the LED technologies come together and they are under $10K. Yes, the JVC is a few points better, but not much!!! Especially when my Wife wants to keep the lights on low --- then the black levels are equal. I'm glad I saved the $7K! Evan compared the RS -25 between the Panasonic AE4000 and the Mitsubishi HC6800, my question is that I'm able to get a good deal on the JVC RS-15, is it worth spending the extra money for the JVC or is the quality of the 3 projectors so close that I should go for the Panasonic or Mitsubishi and save the money? Thanks! No comments since early November? I find that odd. I've finally calibrated two RS25s and one 35...and have to say that Evan nailed this review (in SO many ways), but I've got two cents more. Everyone is harping on there being 'only' increased black levels when that is indeed NOT the case. But if it WERE the only difference, for those who want to get lost in their image...drawn in as if looking through a window...mesmerized into that suspension of disbelief...it is the MOST important aspect of a projector's performance. I've been around high end CRT projectors for well over fifteen years, and have been really unhappy with most fixed-pixel projectors until now. (there have been few exceptions, but I simply cannot endorse anything more expensive than $10,000 with good conscience, unless the client 'needs' an anamorphic lens option or a curved screen) I simply could not watch them for very long...their milky-gray shadows and inconsistent color temperatures across the spectrum have ALWAYS distracted me from full immersion. There was always something to destroy the illusion I ENJOYED with 8 and 9-inch CRTS properly setup. In high-traffic situations, especially here in Michigan (until this month's smoking ban) where restaurant and bar projectors quickly fill with dust and worse, any NON-sealed lightpath is sure to be a problem. Same at home with smokers, too...and if the filter gets clogged and the imager overheats, the whole thing is toast. Bad enough even THIS thing has a filter that needs maintenance, because MOST of us will forget. Same with the damn bulb replacement until it fails the night before the biggest video event of the year (damn that Murphy and his law). When are those LED projectors supposed to happen? I've been waiting since meeting the genius behind the PhlatLight LEDs back in...what...2002?! The lens of this JVC projector is more than a winner, but I didn't have the body of data to compare...HUGE kudos to Evan and his team for putting this unit in perspective with the rest of the industry. I wonder if the inconsistency in THX performance between manufacturers can be explained away by an older bulb in the other unit (because they chance color output over time) or by different calibration equipment (although THX would have some spec for that, I'd hope!) or simply inconsistent HUMANS at the trigger. I'd like to mention that this is the first projector I've seen with the tiny screw next to the HDMI jacks to secure the fine locking HDMI cables from suppliers like Key Digital. I'd like to see MORE suppliers do this, or some enterprising person create a small support harness that can take the strain off the HUGE plugs that we are now seeing with imbedded LEDs for HDMI signal status. There is MORE than enough justification, btw, for 'high-end' clients to pop for the 35. It had slightly better convergence between the panels (although I'd LOVE to see many more fine points in this adjustment, there always seems to be a half-pixel error or slightly more)...but the hand-picking of components, manual calibration, AND extra year of warranty (not from some fly-by-night organization that will teach YOU the real meaning of 'lifetime') all serve to add value to this chassis. But to be honest, I only was able to 'upsell' my recommendations to my friend/client when the distributor had a special that allowed it to be sold for only $1,000 more...he could justify even $1,500 for the differences but the full $2,000 retail bump was just enough of a barrier...and with time on two 25s, it is likely that I'd buy the lesser one, too...unless that 'sale' comes back! But since I have nearly full access to his 35...I don't have to spend the money just yet. It IS mesmerizing enough for me to not be able to turn it off. I cannot say that about ANY other non-CRT projector I've ever witnessed until now...but my standards are well-calibrated! I might have the chance to make a project on where my client have a Sim2 Domino, and want to go for a projector like this from JVC, I was looking for a Cinemascope format and I think this is a good product combined with a Stewart Cinecurve 117". I have some questions on regard the JVC RS35 or RS25, is there a possibility that the MF10 from Meridian is the very same product from JVC??? PLease, just have a look at one playing Avatar Blu-ray disk in a proper dark room (dedicated one), calibrated by a pro. The scenes pops out of the screen, almost in 3D. Never seen such an image before ! Having in the same image both very dark blacks, and some spot lights (very usual in films) is what makes the difference with this PJ and others. And it's a huge one ! You won't be able to watch anything else, trust me ! And it will be VERY frustrating to watch a dynamic iris contrast image after that. I thinks one DLP Projector $2K is "good enough".